As a nursing student, you know what it is to spend hours in the library studying. You’ve been through rigorous classes with extensive coursework, so you might have thought you knew what it meant to work hard. However, when you’re studying for the NCLEX, you’ll know a whole new form of pressure. Many nursing students report studying for hours each day on top of their jobs and family responsibilities. Productive study habits are the key to reducing pressure and ensuring a great score. There are hundreds of study resources designed specifically for the NCLEX. You can find online flashcards, study courses, virtual study groups, videos, and more as you prepare. A commonly overlooked resource for studying is medical facility websites, like this one for a hospital in Chicago. There are definitions and detailed information for patients that you can use. Each term is often explained in a less technical format, which can make it easier for you to learn and memorize the material quickly. You can memorize long lists of terms and concepts, but if you’re presented a question that’s worded differently or presented in a different format than you expected, you’ll likely draw a blank. Visit the National Council of State Boards of Nursing (NCSBN) website to familiarize yourself with the format of the test. You don’t want any surprises on exam day, and while you can’t fully predict the structure, thanks to computerized adaptive testing, this research will help you prepare. While you’re on the NCSBN website, download a few practice tests. You’ll learn the format better, plus it will help cement answers to common questions permanently in your mind. Along with familiarizing yourself with the test, taking practice tests helps you focus more on deriving answers based on the root of the question. Being a nurse is often about critical thinking and making snap decisions, so the test is set up to be the same way. The more you practice, the better you’ll get at generating the right answers. Make plans to arrive about 30 minutes early—you never know when things can go wrong, and most moderators won’t let you into the test if you’re late. Pack your bag the night before with your forms of ID, but don’t bother bringing electronics because they won’t let you bring them into the test. Dress comfortably and consider bringing snacks and a bottle of water. You may have been too nervous to eat before the test, but most people relax as they take the test and the hunger might kick in. Hunger and thirst can be distracting, so this will help you stay at the top of your game. It’s easy when your days and evenings are filled with studying and other responsibilities to forgo exercise and healthy eating. It’s much simpler to grab a bag of chips than it is to make a sandwich, and after a long day of studying, you’ll just want to watch television instead of hitting the gym. Some days, you won’t feel like you have time for even your favorite TV show. However, falling into these habits of negative self-care to save time is typically the antithesis of productivity. Your mind is at its best when you’re healthy, so set aside 30 minutes for physical exercise every week and buy fruits and vegetables rather than junk food. You’re probably pretty stressed right now, and you’re not alone. 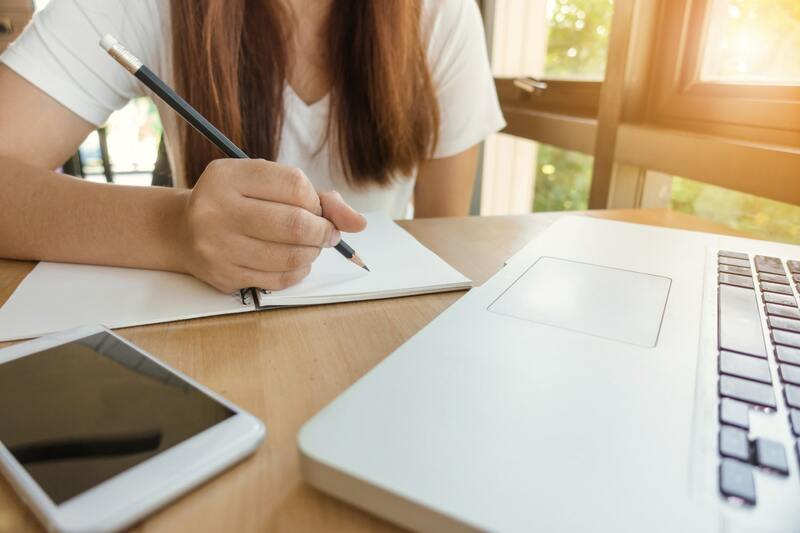 Research shows that more than a third of nursing students report being in a constant state of moderate stress and another third report fluctuating between mild and severe stress while studying for exams. Stress can be very hard both mentally and physically. It has the ability to decapacitate learning, not to mention it increases your risk for developing health problems like major depressive disorder, anxiety disorders, obesity, cardiovascular disease, and high blood pressure. It’s also important to note that if you don’t take proactive steps to cope with your stress now, it can lead to unhealthy coping mechanisms like self-deprecation, abusing drugs or alcohol, or lashing out at others. These situations only occur if things are allowed to get wildly out of hand, so coping with stress early on is key to protecting yourself and those around you.